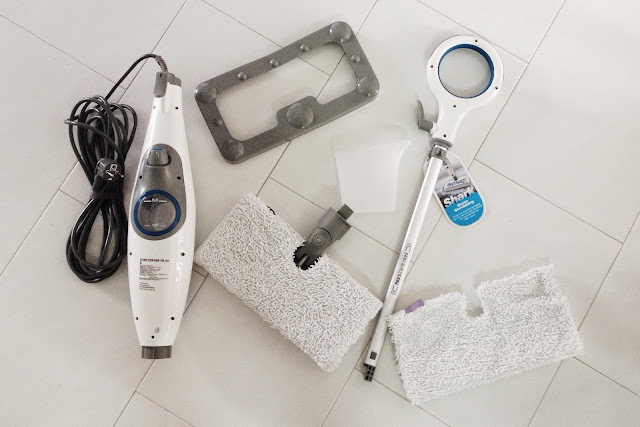 The hubby wanted to get a electronic steam mop, selling me all the benefits of owning one. And as a doting wife, I agreed (again) to let him buy what he feels is good. 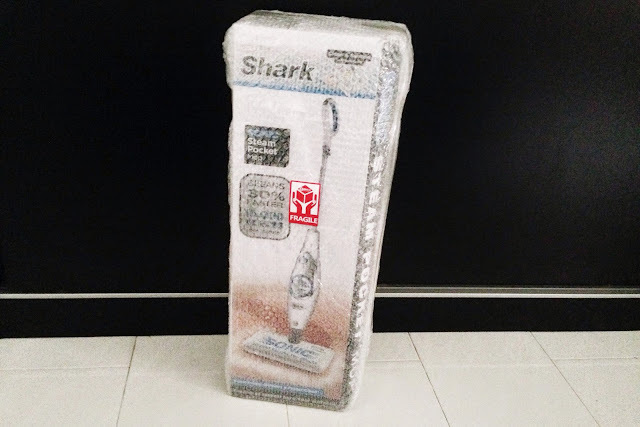 Haha..
Then, I went online to search whether there are cheaper alternatives and we saw this Shark Sonic Steam Pocket Mop SM200 on sale at Qoo10 for $79.90 (plus $18 delivery fee). That's $97.90. Under my $100 budget. Cool. So we decided to get it. 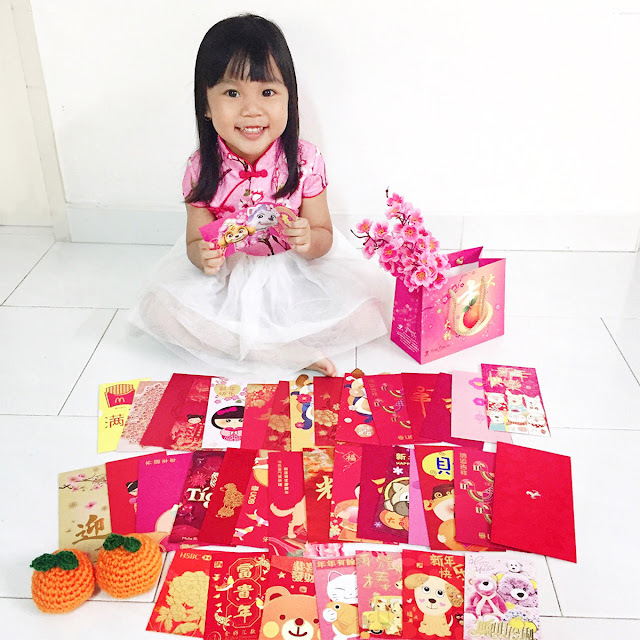 Placed the order on the 27 April night and got the item on 4 May. Exactly one week, and it's delivered from Korea. Nice. Pretty fast delivery. Item arrived. Tightly bubble wrapped. Ta dah~ We fixed it and it's time to test it out. 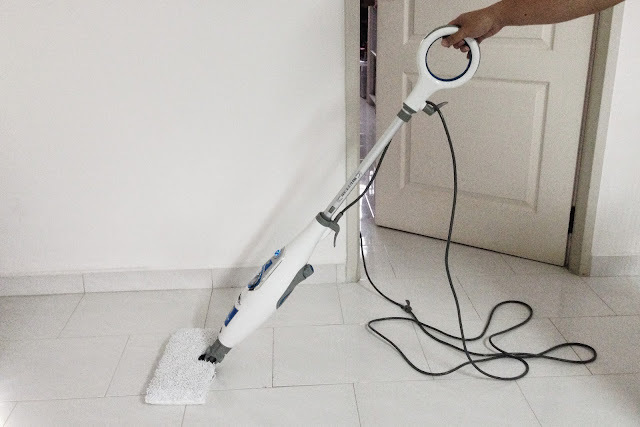 The hubby tried the mop on the day the item was delivered. 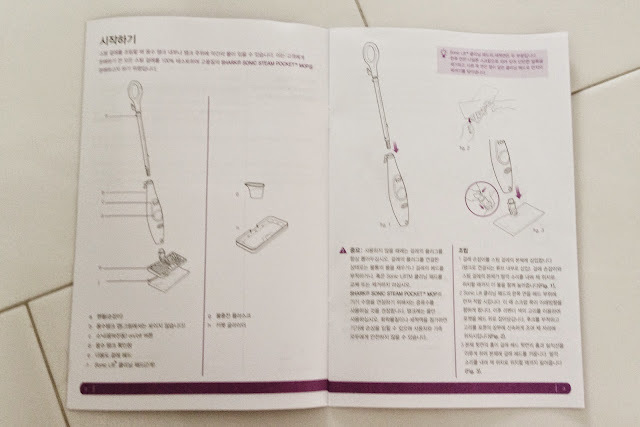 Fixing was easy, although the user manual was in Korean, but we managed it by deciphering the diagrams. Lucky you (or your hubby)! Cos price now is apparently $200! @@!